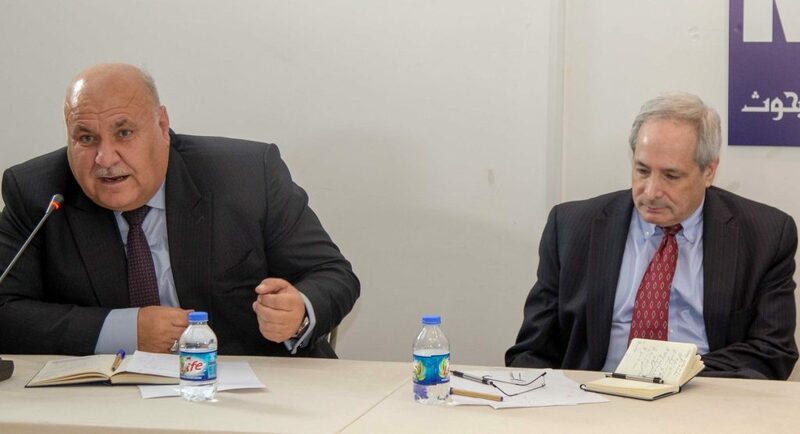 On Tuesday 2nd of April, the Middle East Research Institute (MERI) convened a roundtable discussion with a visiting United States Institute of Peace (USIP) delegation and political representatives and experts from civil society from the Kurdistan Region. Discussions centred on local dynamics regarding peace and reconciliation, touching upon post-IS recovery, return of Internally Displaced Persons (IDPs) and future of governance in the Province. The USIP has extensive experience in research and technical assistance provision in the field of reconciliation and peacebuilding, and is currently funding a MERI research project focusing on the barriers to return for IDPs in Nineveh governorate. The importance of healing at the individual level is essential for collective reconciliation to take place. Individual traumas are felt to be overlooked. A weak justice system, possibly incapable of holding perpetrators accountable for horrific crimes, is another major obstacle to justice, reconciliation and recovery. In order to successful justice and reconciliation to take place, both the Federal Government in Baghdad and the Kurdistan Regional Government (KRG) have to commit themselves, not only to the more obvious justice and reconciliation issues, but also to including formerly excluded persons in this process. An example in case are women, who ought to be part of any such process working towards positive outcomes. Marginalization, exclusion and radicalization go hand in hand and should be tackled by both governments and all stakeholder involved. Any excluded community is prone to radicalization by, as one participant called it, “ISIS 2.0”. There may be an opportunity here to learn from similar developments in the past, including processes of reconciliation and peacebuilding in Bosnia and Colombia. There are clear parallels with regards to the role of identity, ethnicity and the risk of mobilization of marginalized groups. Attendees then shifted their focus towards key issues related to governance and security. What is the best framework to govern the liberated areas in Nineveh governorate? The answer to this question is complicated as the demography of specific districts is rapidly changing, a process that is arguably staged in order for some groups to gain presence over other groups in the region. Solutions were suggested along the lines of revising administrative territories and rights, possibly leading to semi-autonomous districts or sub-districts gaining more rights. Additionally, the contemporary security situation in Nineveh was raised as a major barrier in moving forward. The presence of multiple security forces and the lack of presence of the central government is considered a spoiler. Participants urged Baghdad to retake control of security in Nineveh, by taking the lead in finding and acting upon solutions. The Disputed Territories should not be the scene of a plurality of security forces but require a unified security actor in order to normalise. Only then will IDPs feel safe to return to their homes in Nineveh. Concrete solutions were suggested by all participants. A unified security force, balanced representation of minorities and administrative reorganization of districts and sub-districts were among the ideas brought forward. Any significant step forward must include women and other marginalized groups and should be sensitive to internal struggles within communities before taking on the daunting, but not impossible, task of reaching peace in Nineveh. MERI is currently investigating barriers to return experienced by IDPs in Nineveh governorate. Different subsets of barriers and policy recommendations hopefully form insightful steps forward.